Whilst moving house can be stressful, if you get your packing right, it can greatly reduce the strain on you for the duration of the move, and ease you into the post move life, upon reaching your new home. With that in mind, here are our top three tips for getting your packing right. 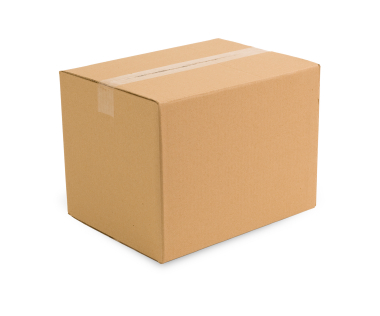 Rather than throwing possessions aimlessly into boxes in an effort to make the process as quick as possible, we’d heavily advise that you keep like-items together when you are packing boxes. Keeping wires and electronics together, clothing separated and small, loose parts attached to the item they belong to will make things much easier upon arriving at your new home and commencing with the unpacking. Whilst keeping smaller items with their larger appliances is a good idea to ensure they aren’t lost, the same idea can be used for keeping larger corresponding items. Ensure that, when packaging up, all items are at least in the same box as their appliances; for example make sure power and HDMI cables can easily be located closely to your television. As a backup, have a separate box labelled especially for spares. It might seem counter intuitive to the advice we just gave on keeping items with their appliances, however utilising a spares box ensures that, should you not find a wire, cable or battery, you’ll know where to find it. Make sure that you make an early start, as it ensures that anything you can pack ahead will save you time on moving day. It’s likely that you’ll be able to box up all your out of season clothes nice and early, as they’re unlikely to be needed. Also, try and get the bulk of your big items packed plenty in advance. It’s highly unlikely you want to be manically rushing around, packing up a number of televisions and other large items at the last minute. Finally, try and carry out the majority of everyday tasks using only the bare essentials. Kitchen utensils can be cut down, and washed up at more regular frequencies, rather than keeping stocks of cutlery lying around. Likewise, toiletries can be prepared and packed – just make sure you have a few essentials stored in a travel bag. Make sure your cleaning items are all packed together and are easily accessible. It might be the case that, once you arrive at your new place, you want to give it a quick ‘once over’ to ensure that you aren’t emptying your possessions into a dirty home. Likewise, it might be advisable to wipe over your furniture before moving them into your clean new home – you never know what kind of dust and dirt your possessions could have picked up in transit. If you have an impending house move and want to task the experts with moving your belongings, check out the dedicated section of our website. Image sources from commons.wikimedia.org under CC license.